Bryoandersonia illecebra at base of tree in a wet meadow. Alum Creek State Park. Delaware County, Ohio. March 14, 2014. 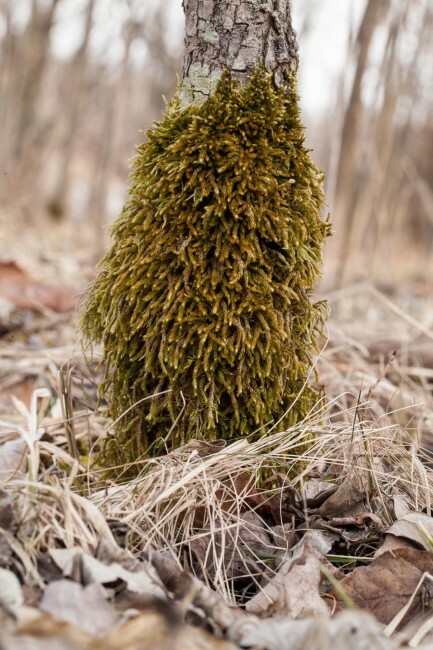 Bryoandersonia illecebra on soil atop bluff overlooking Alum Creek in Delaware County, Ohio. September 9, 2011. 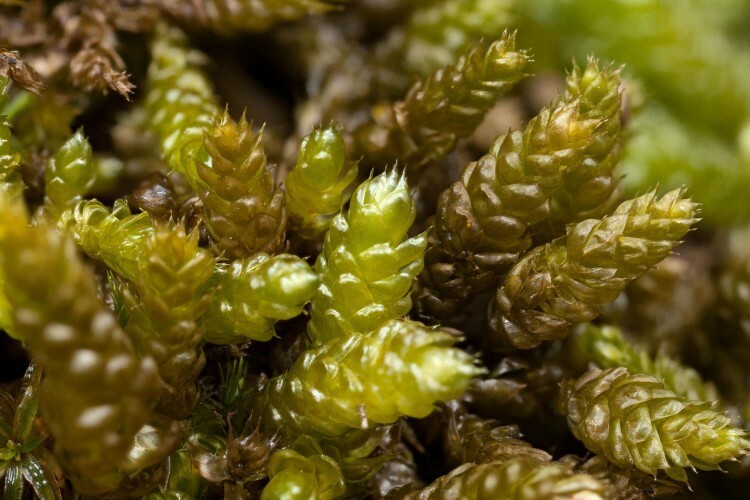 How to recognize Bryoandersonia illecebra: This moss forms mats of what looks like little green worms, often with whitish tips. 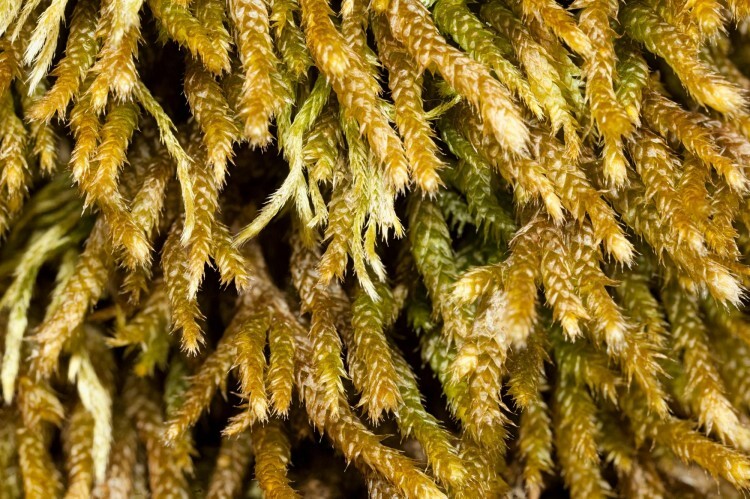 This julaceous (with leaves appressed to branches and stems) moss has very concave leaves 1 to 2 mm long with a flat tip, that is often twisted. This twisted tip is visible with a handlens with careful observation. It has a single costa (midvein) that does not reach the leaf tip and no teeth along the leaf margin. 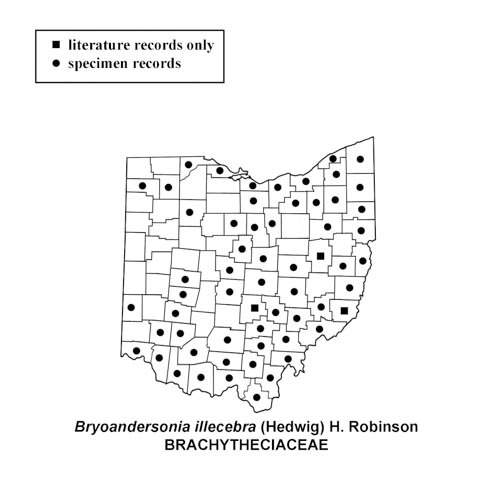 Where to find Bryoandersonia illecebra: It is found on banks in forests and woods, on rocks and tree bases, and in grassy lawns with a little shade. It is found in all the eastern states except for northern New England and is more common in southern states.